Graphic design is not an easy job, it requires a lot of creativity to create an attractive work with a powerful hardware configuration. That can handle heavily used graphic design software such as Adobe Photoshop, Adobe Illustrator, Corel Draw, Adobe InDesign etc. These days you will get a laptop with different categories and professions but choose the right one which will suitable for your work is not an easy task. Choosing a laptop is always a complicated task of balance between performance and portability, maximum features and affordable price. If you are looking for a laptop for just social media graphics then you don’t need a high-performance laptop, you can do these things on any kind of laptop. But if you are a proper graphic design student or pro then definitely you need a high-end laptop which can run all your heavy software with ease. To make this task easy for you I have done so many research with my laptop expert team and then choose the best laptops for graphic design which comes with the powerful processor, good amount of RAM, dedicated graphics card etc. So you have to do just select the one which will suitable for you as per your needs and budget. Wait… before you move towards the list of best laptops for graphic design students, I suggest you to check below a few important things on a laptop when you are going to buy a laptop for graphic design. When you are going to buy a laptop for graphic design or for any other purpose then the price tag is not only enough. There are few things which you need to check which makes it perfect for your profession. So here are a few recommendations points which you need to check if you are going to buy a laptop from any other place and not from this list. The below laptop is selected by keeping in mind all those things which are essential for a graphic designer laptop and then listed on this list. If you are a student or a beginner then simply go with the Windows laptop because it is cheaper than the mac. But if you are a pro then you can go with mac because most of pro graphic designer use mac only. Also, before you are going to buy a laptop, you need to check the software requirement which you will use and which operating system it supports Windows or MacOS then simply go with that. The processor is an internal part of a laptop which ensures that it delivers you a smooth working experience while multiple applications are open. If you are a student or a tight in a budget then at least go with Intel Core i5 processor laptop but if a budget doesn’t matter for you and want faster performance then I suggest you go with Intel Core i7 processor laptop. If you want a smoother multitasking experience then you need at least 8GB of RAM if you are a beginner. But again if you are a pro and also budget is not a concern for you then go with 16GB of RAM or more for better and faster working experience. Graphics card is also an important part of a graphic designer laptop. Graphics card does not only provide you a better visual graphics but it improves the overall performance of your laptop. If you are a student or a beginner then normal graphics card is enough but if you are pro then I suggest you have a powerful graphics card. The display size of a laptop is also an important factor in a laptop buying process. A display which comes with the higher resolution it will deliver you clear and accurate color details. I suggest you buy full HD display having 1920 x 1080 pixels of resolution. The 15 inches of display size is ideal for all, so go with at least 15-inch of a display. If you want a bigger display and budget is not a problem then go with 17-inch of a display to enjoy your graphic design work. So these are the things which you need to keep in mind when you are going to buy a laptop from your nearest store or anywhere else. This few points will definitely help you out to choose the right laptop for yourself. 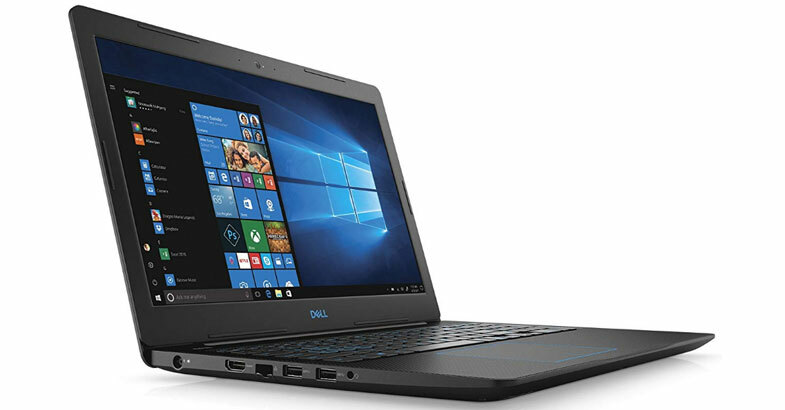 Topping of this list with the Dell G3579-7989BLK-PUS laptop which is actually a gaming laptop but you can use for graphic design work or anything else it will give you the best performance. Its black matte finished chassis with a blue logo on the lid gives a rich look and feel. This Dell laptop is powered by the 8th Gen Intel Core i7-8750H processor with max turbo boost frequency up to 3.9GHz. To provide you a faster performance without lag this laptop is paired with 16GB of RAM. If you are concerning about the graphics of this laptop then it is equipped with 4GB of NVIDIA GeForce GTX 1050 Ti dedicated graphics card. On the storage front, this laptop is housed with 256GB SSD + 1TB HDD, which fulfill all your storage needs. It sports 15.6-inch of full HD IPS Anti-Glare LED-Backlit display with having 1920 x 1080 pixels of resolution. Moreover, it has Waves MaxxAudio Pro which delivers you an amazing audio quality, which you can enjoy while you are playing games and watching videos. To do your work or playing games in a dark place it has a backlit keyboard. To keep your system cool even after a long working or gaming session it has dual fans cooling system. All in all, if you love to play games along with your work then this Dell gaming laptop is the best option for you around $1000 budget which you can buy right now. If you regularly travel with your laptop then this ASUS VivoBook Pro is the good option for you because it is light in weight and portable. If we look at this laptop design then it looks like a business laptop but it has got powerful specifications which fulfill your gaming need also. This Vivobook has wrapped all the powerful configuration and multimedia essentials in 0.8 thin profile which weighs just 4.6 pounds. This laptop has got bigger 17.3 inches of full HD wide-view display with 72% NTSC color gamut which delivers you richer, deeper and more accurate colors. This portable laptop is powered by the latest 8th Generation Intel Core i7-8550U processor and paired with mammoth 16GB of RAM. If you are concerning about the storage of this notebook then it comes with combo storage of 256GB of faster SSD + 1TB of huge HDD to store all your personal and professional data. Graphics on this device is equipped with 4GB of NVIDIA GeForce GTX 1050 dedicated graphics card which provides you flawless visuals. Apart from this, it has got all the required ports and slots such as USB 3.0, USB 2.0, HDMI, LAN, and SD card. It has fast charging technology which charges the battery up to 60% in just 49 minutes. It has got a full-size keyboard which comes with Numpad and ergonomic backlit. Overall, based on the laptop configuration this is the best option for those who are looking for a light-weight and portable laptop for graphic design work. If you are a student or if you don’t have a big budget for a laptop then this Acer Aspire E 15 is the best budget laptop for graphic design students. Also, this Acer Aspire E 15 is the best selling laptop on Amazon.com. The reason behind is that under $600 budget it comes with the great hardware configuration which you can use this laptop for all-purpose. Speaking about the specifications of the laptop, it sports 8th Generation Intel Core i5-8250U processor with turbo boost up to 3.4GHz. To handle your multitasking work and deliver you a fast performance it is equipped with 8GB of RAM. Graphics on this device is backed by NVIDIA GeForce MX150 graphics coprocessor with 2GB dedicated graphics memory. 256GB of SSD storage this laptop has got which might be not enough for many of us but one thing which I want to add here is SSD is faster than the normal HDD drive. So it’s up to you if 256GB of storage space is enough for you then definitely this is the best budget laptop which you can buy right now for graphic design work. This laptop comes with 15.6 inches of full HD display with IPS LED-backlit widescreen technology which delivers you a better crisp and clear visuals. Besides this, the battery life of this laptop is unbelievable which provides you up to 15 hours of battery backup on a single charge. It has got all the essential ports and slots along with an optical drive. Its incredible performance and great battery life make this Aspire E 15 to an ideal budget laptop for all purpose. Around $1100 budget this ASUS ROG Strix Hero Edition is the best option for you if you are planning to buy work and play laptop. This ASUS laptop is pure gaming laptop from outside as well as inside as it has got powerful hardware specifications. Speaking about the specifications of this laptop, it has inside 8th Gen Intel Core i7-8750H processor and paired with 16GB of RAM, this combination delivers you an amazing performance. The graphics on this device is featured with powerful 4GB of NVIDIA GeForce GTX 1050Ti dedicated graphics card. Storage segment of this laptop is backed by dual storage such as 1TB FireCuda Hybrid drive which is good enough to store all your files and data, + 128GB of SSD which helps to boot your system fast. The FireCuda Hybrid drive is 5-times faster than the traditional HDD drive. You will get an amazing working and gaming experience with its 15.6 inches of full HD Wideview display having 1920 x 1080 pixels of resolution. Another interesting feature of this device is AURA SYNC RGB keyboard and 12V fans with Anti-Dust Cooling system which improves thermal performance and deliver you stable performance while heavy multitasking work or an intense gaming session. For the connectivity, it has got all the required ports & slots. Based on its specifications we can say that this is the perfect laptop for graphic design, gaming or any other purpose which you want to use, it can easily handle any task which you will throw. This is another budget laptop of these best laptops for graphic design students list but this one is from ASUS. 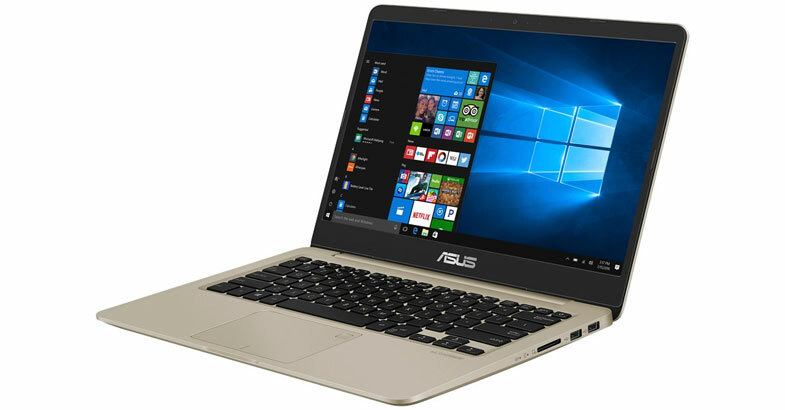 As mentioned this ASUS VivoBook S is a thin and lightweight laptop, it has packed all the powerful hardware configuration in a 0.8 thin profile which is weigh just 3.2 pounds only. If you are a student and daily you need to keep your laptop in your school/college then this is the best choice for you in a budget. It has got full HD display with WideView technology which ensures that colors and contrast remain vivid and bold, even when viewed at extreme angles. Its thin NanoEdge bezel gives 77% screen-to-body ratio which really looks amazing while you are watching movies or playing games. This ASUS laptop is powered by the 8th Gen Intel Core i7-8550U processor and paired with 8GB of RAM. Graphics on this laptop is backed by 2GB of NVIDIA GeForce MX150 dedicated graphics card which delivers you smooth and crisp visuals. If you are concerning about the storage segment of this laptop then don’t worry it comes with 256GB of SSD, which is faster than the HDD drive. Apart from this, it has an interesting feature which is a fingerprint sensor which helps you to sign in with just a single touch. The keyboard of this laptop is Chicklet with backlit enabled, which helps you to stay productive in any situation. For the connectivity, it has got all the essential ports and slots such as USB 3.1 Type-C (Gen1), USB 3.0, USB 2.0, & HDMI. If you love to work on a 2-in-1 convertible laptop then this HP Spectre x360 is the best choice for you. If we look at the design of this laptop then its dark ash color metal finished chassis with golden color combination gives it to an amazing look and feel. This HP laptop is not attractive from the outside only but from inside also, as it has got a powerful configuration which makes it an ideal convertible laptop for graphics. It sports 15.6-inch of 4K Ultra HD BrightView WLED-backlit touchscreen display with having a resolution of 3840 x 2160 pixels. The resolution of a 4K display is double than the full HD display, so you can understand that with the 4K display resolution you will get an awesome clarity. You will enjoy this 4K display while you are doing your graphics work or playing games or watching movies. Let’s move towards the specifications of this laptop, it’s rocking inside with latest 8th Gen Intel Core i7-8550U processor which is clocked up to 4 GHz with Intel turbo boost technology. This laptop is backed by 16GB of RAM which is good enough to handle your heavy multitasking work with easy without lag. 512GB of SSD this laptop has got, which is enough to store all the personal professional data and files. Graphics of this laptop is handled by 2GB of NVIDIA GeForce MX150 dedicated graphics card. But as per the price tag, it should be at least 4GB of a graphics card need to be included and this is the only drawback of this notebook. Moreover, this laptop runs on the Windows 10 operating system which you will enjoy with its touchscreen display. It comes with Bang & Olufsen, dual speakers which deliver you a better audio quality while you are watching movies or playing games. All in all, this is the best 2-in-1 convertible laptop for graphic design students and professionals which you can buy right now. 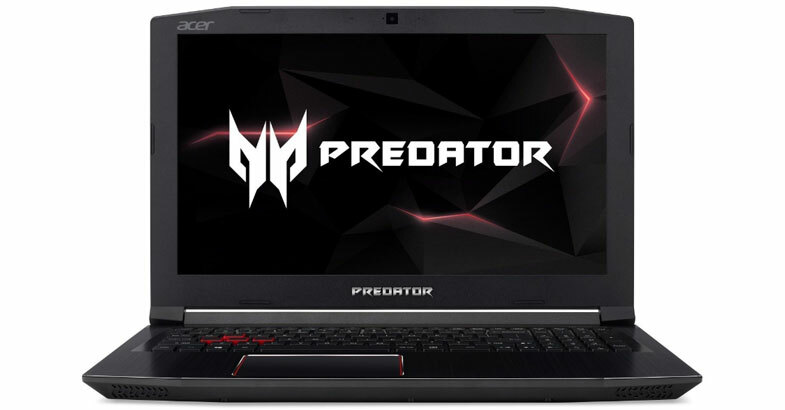 Acer Predator Helios 300 is a pure gaming laptop as Acer has launched this Predator series laptop, especially for a gaming purpose. 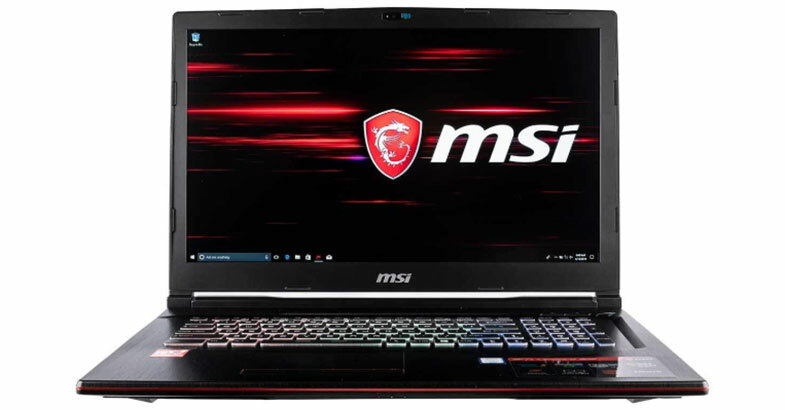 If you will buy a gaming laptop then you can use it for any purpose because it comes with a powerful configuration which can handle all the task which you will throw with ease. 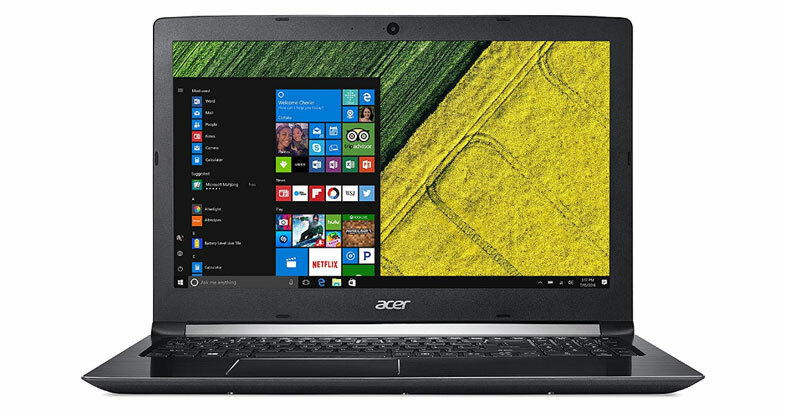 This Acer laptop is the most popular and best-selling laptop on Amazon.com. Speaking about the design of this laptop, anyone can easily understand that this is a gaming laptop as per the design which it has got. It has a black metal finished chassis with red accents which gives an amazing look. It has got an impressive 15.6 inches of full HD display with widescreen IPS technology, which makes this laptop to be your gaming and entertainment hub. Let’s move towards its specifications, it is powered by the 8th Generation Intel Core i7-8750H processor which is is devastatingly powerful. To handle your multitasking with ease and provides you faster performance, it comes with 16GB of RAM and 256GB of SSD which accelerate system boot-up times and shorten the applications loading times. Graphics on this device is backed by NVIDIA GeForce GTX 1060 graphics coprocessor with 6GB of dedicated graphics memory which delivers full throttle acceleration while you are playing a game or working on your graphics project. Besides this, it has an iron-red backlit keyboard which illuminates the keyboard keys to work even in a dark place. It has a dual fan cooling system that helps to keep the system cool and stable even after a long working or gaming session. 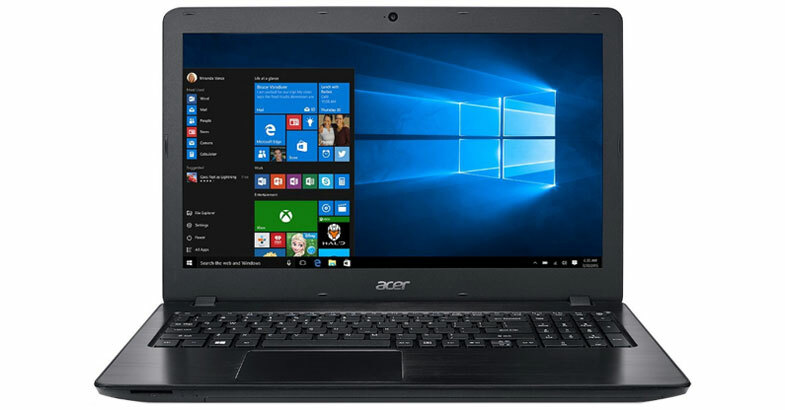 Based on its specifications, this Acer laptop is a great option for those who are looking for work and play laptop around $1100 budget segment. Its powerful performance along with the high graphics card makes it an ideal laptop for graphic design work. If you are looking for a gaming laptop for graphic design with a business look which you can use at your workplace then Acer Aspire 7 is a great option for you. As per its look, no one can tell that this is a gaming laptop but the internal which it has got it has proved that. It has 17.3 inches of full HD IPS WLED display, which provides crisp and clear visual from a wide viewing angle and also you can do your work even more comfortably with its big display. This Acer laptop is powered by the latest 8th Gen Intel Core i7-8750H processor with 9MB SmartCache and Max Turbo Frequency up to 4.10GHz. For a smooth working experience, this machine comes with 16GB of DDR4 SDRAM and fast 256GB of SSD drive. To deliver better graphics this laptop is backed by 6GB of NVIDIA GeForce GTX 1060 dedicated graphics card with Max-Q Design. It runs on the Windows 10 operating system and included 4-cell Li-Ion 3220 mAh battery, which provides up to 6-hours of decent battery backup. A few interesting features of this laptop is its full-size backlit keyboard and Acer TrueHarmony Sound System. For the connectivity, this notebook comes with all the essential ports and slots. 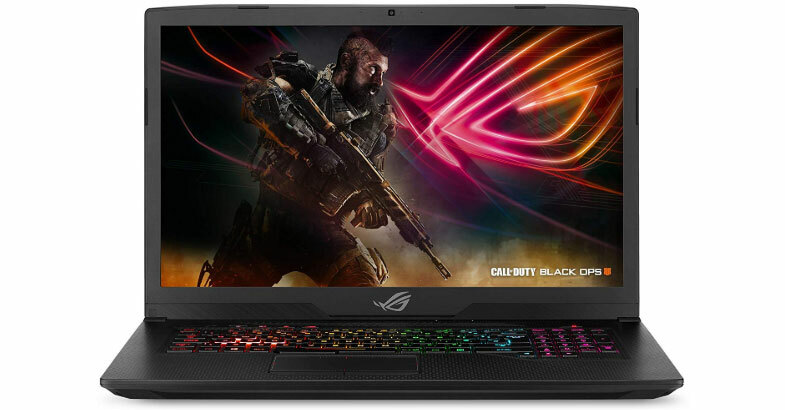 This ASUS ROG Strix Scar Edition is another laptop from ASUS’s ROG series in this best laptops for graphics design students list. This new ROG Strix Scar Edition laptop is built for the next generation of gamers who looking to take their gaming to the next level. It spots 17.3” inch of full HD IPS-Type display with 120Hz of higher refresh rate, which delivers a multitude more frames within the same amount of time compared to standard 60Hz displays. To handle high gaming titles on this device it is powered by the 8th Gen Intel Core i7-8750H processor and coupled with 16GB of DDR4 RAM. For powerful graphics performance, this laptop is equipped with the powerful NVIDIA GeForce GTX 1070 graphics with mammoth 8GB of GDDR5 dedicated memory. This gaming machine houses with dual storage compartment such as 256GB SSD + 1TB FireCuda Hybrid Drive, which is good enough space to store all the data. And its FireCuda Hybrid Drive is 5-times faster than the traditional HDD drive. This gaming machine has got all the essential ports and slots and featuring the latest connectivity, which includes mini DisplayPort, HDMI 1.4, and USB 3.1 Type C. It has got full-size RGB backlit keyboard and it allows you to customize with 4 zones of lighting control and choose from different lighting patterns. If you work on graphics-intensive projects for a long run then its anti-dust cooling technology keeps the system cool and gives a stable performance. Most of the pro graphic designers or any other professionals prefer MacBook because of its stable performance. If you are a student or a beginner I do not suggest you buy a MacBook Pro, because it is costlier than the Windows laptop. 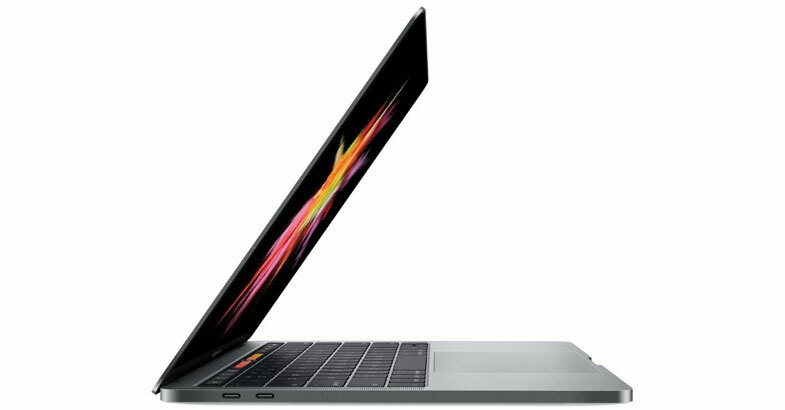 Apple MacBook Pro 15 With Touch Bar sports 15.4-inch of a LED-backlit display with IPS technology, which delivers you better and accurate colors contrast from a wide viewing angle. The display of this device is retina ready with having 2880 x 1800 pixels of resolution. Let’s talk about the specifications of this notebook, it has inside the latest 8th Gen Intel Core i7 processor with turbo boost up to 4.1GHz. This device is backed by 16GB of RAM which is good enough to handle multitasking work with ease without you slowing down. This Apple MacBook Pro is equipped with 4GB of powerful AMD Radeon Pro 560X dedicated graphics card which makes it an ideal for graphic design work. The storage segment of this MacBook is housed with 512GB of faster SSD which delivers better performance and reliability. Apart from this, it has a touch bar feature which helps you in different ways while you are working on your graphics related work or any other work. The battery life of this notebook is amazing which gives you up to 10 hours of battery backup on a single charge. The only drawback of this MacBook is it comes with only Four Thunderbolt 3 USB-C ports, if you want to use SD card then you need to purchase an additional USB-C SD card reader. Overall, this MacBook Pro comes with an attractive design along with impressive internals also, which makes it an ideal laptop for graphic design work. This MSI CUK GP73 Leopard is the beast of this list of best laptops for graphic design students. I have told this laptop as a beast because it has got all the latest and powerful set of hardware configuration. If we talk about the display of this laptop then it has got 17.3-inch of full HD Wideview display with Anti-Glare panel which gives you distract free working experience from the glare and also improves the screen visibility. This machine has new 8th Gen 6 core Intel Core i7-8750H processor with 9MB Cache, 2.2GHz of base frequency and turbo up to 4.1GHz. The thing which makes this machine an ideal in this list is its massive 32GB of DDR4 RAM. On the storage front, this laptop is backed by the 500GB SSD + 1TB Hard Disk Drive to store all your software, games, pictures etc. To enhance gaming and VR experience this device is equipped with NVIDIA GeForce GTX 1070 graphics with mammoth 8GB GDDR5 VRAM. It has got a full-size customizable RGB backlit gaming keyboard that enhances your gaming experience which you won’t forget. To optimize the GPU’s performance of this machine it has exclusive Cooler Boost technology which ensures maximum performance under any intense working or gaming scenario. These are the best laptops for graphic design students which are hand-picked by me and my laptop expert team. So now your turn to choose the laptop as per your needs and budget. I hope that this short review of graphic design laptop will be helpful for you to choose the best one for you. If you are still confused and need help feel free to ask me just leave a comment below.